Back where we belong, live on sunday with the best programs, music, entertainment, vinyl, drinks and friends. Join your gang folks. cams are rolling and the chatbox is open …. here we go! 17:00 CET – It’s DoucheCo time with Michiel. he plays the best tracks and our listeners choice from the classic chart ‘De Haagse Flitsende 50’. 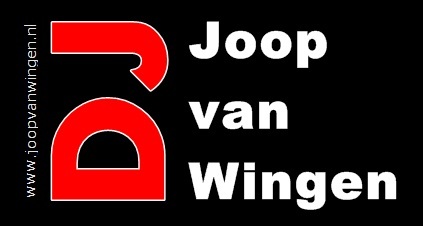 This week the 9th of August 1986.
between 19:00 & 20:00 a mix by Joop ‘The Wingman’ ! 20:00 CET – The Sunday night live (request) Show with very special guest. The New Gen. Artist from Australia…..
Peter Wilson! Let’s welcome the man who has worked a.o. as writer/producer for Carol Jiani, Amanda Lear, Nicky French, Haywoode, Sabrina and more. Of whom the Associates of Stock Aitken and Waterman co-wrote his album Stereo. And great artists like Italoconnection and Mirko Hirsch produced or remixed his music. The Dutch mixer/producer and his friend Matt Pop worked a lot for Peter and will be with us tonight. Flames” that was released last month. Download is now available inon top in the download section. also in video! Worth watching because we had a super evening and so much fun with Peter, his agent and Matt Pop! Gwen 05-08-2018 . Categories: Charts, clip, DJ Mix, Download, Haagse Flitsende 50, I Venti d'Azzurro, Live Show, new release, Stad Disco Zondag, Sunday Live Show, vinyl. Tags: Australia, Charts, Disco-Mix, DoucheCo, Energise Records, Eurobeat, Haagse Flitsende 50, High Energy, Italo Disco, Italo Internet Radio, Iventi Records, Live Request Show, Matt Pop, NuDisco, Peter Wilson, Radio Stad Den Haag, Stock Aitken Waterman, Vinyl. Back on Air! Tune in for our live shows starting 5pm CET. The best way to end your weekend. Come and say hello! Wij sluiten het weekend zoals altijd met je af. De beste Italo’s, High NRG en nieuwe muziek. Kom erbij!. 5pm CET- DoucheCo with Michiel van der Brugge. He plays the best track from the classic hit chart broadcasted on RSDH in the 80s. Today september 17, 1981. De beste platen uit de legendarische ‘Haagse Flitsende 50’ chart hoor je in DoucheCo met Michiel. Klik HIER om de lijst van vandaag te zien. Vandaag 17 september 1981, een echt oudje dus, destijds uitgezonden op RSDH. 8 till 11pm CET- The sunday night live request show. Menno, Gwen and Michiel play your requested songs! De week vliegt voorbij. Menno Gwen en Michiel zitten er weer klaar voor. Lekker plaatjes draaien, drankje erbij, en jij natuurlijk met al je suggesties. Gwen 10-09-2017 . Categories: +mix, Charts, clip, DJ Mix, Download, Haagse Flitsende 50, Live Show, new release, Nieuws, Stad Disco Zondag, vinyl. Tags: 80's, 80's disco mix, Charts, DoucheCo, High Energy, Italo Disco, Italo Internet Radio, Iventi Records, Live Request Show, Matt Pop, Mirko Hirsch, Radio Stad in the Mix, Spacesynth, Stad Sundaynight Live, Studiocam, Vinyl. Freaky Friday in the MiX! Join the mix-club, every friday evening on Radio Stad. 8 till 10 pm CET the hottest Italo mixes. Elke vrijdag op Radio Stad de lekkerste mixen voor jou! Every month we receive exclusively for Radio Stad the Italo all the way mixes made by DJ Chez. this time Apparently the ‘A’ is his favourite…. Gwen 04-08-2016 . Categories: +mix, Freaky Friday, Freaky Friday. Tags: Disco-Mix, DJ Chez, Eurobeat, High Energy, Italo Disco, Jaap de Zoete, Matt Pop, Radio Stad Den Haag, Radio Stad in the Mix, Tony Renzo, Vanello.